STRONGer, FASTER, BETTER THAN EVER. Struggling to lose weight? Recovering from an injury? Our approach to orthopedic rehabilitation and physique development makes us the most sought-after personal trainers in Ann Arbor and surrounding areas. There are so many programs that lack innovation and creativity – it’s easy to get bored with predictable workouts, which may be why you’ve probably had a hard time sticking to a routine. Not at Body Specs! We provide a training environment that is so dynamic, you never know what each session will bring. From junior athletes to general fitness, we’ve got you covered. Are you ready to get back in the game? I wanted to say a huge thank you for all of your help in getting me back to soccer. After the complications with my doctor and physical therapist, I was really worried that I was not going to be ready to play my senior season. Without your help, I could not have done it. I owe you the world for not only making my knee strong and ready to play, but for helping me gain my confidence and mental strength back. So many people doubted me, but not you guys..and that meant the world!!! I loved coming in and getting to work. While it was extremely challenging, you and the other staff members always made me want to be there. YOU GUYS ARE AMAZING and a huge answer to my prayers. Take a quick survey and receive a FREE PERSONALIZED EVALUATION from Skip Bunton! It’s time, let’s get started. 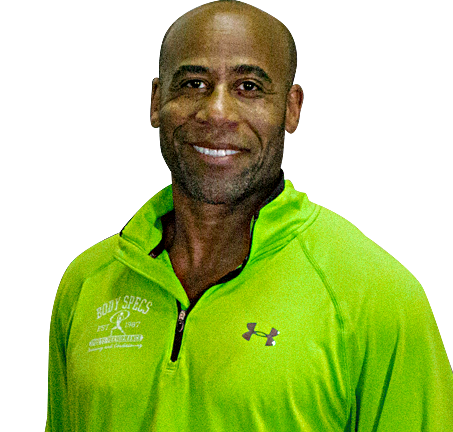 Take Skip’s personal challenge and receive a FREE EVALUATION from Skip Bunton!